Are you fascinated by the old gravestones in cemeteries? The Gravestone Girls take our audience on a virtual (slideshow) tour of colonial burial grounds through modern cemeteries, using examples from the town of Dennis. The Girls will highlight gravestones that illustrate beautiful artwork and symbolism. 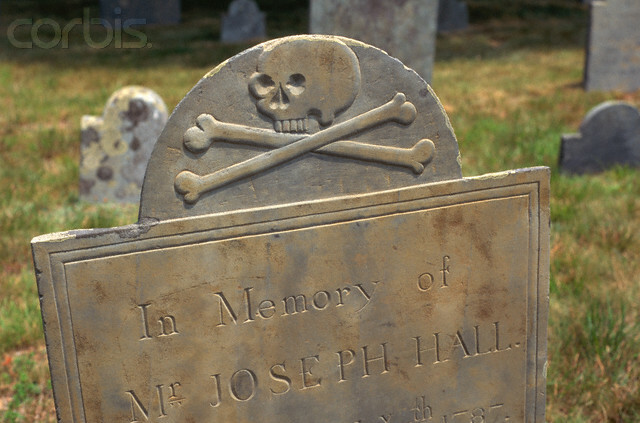 Discover why we have cemeteries and gravestones and why they look the way they do. See reproduction castings, produced in cooperation with local authorities, and discuss the pros and cons of doing grave rubbings. Bring lots of questions! You'll learn to appreciate the history that can be learned from our local burial places and be inspired to protect and preserve what remains.